Born and raised in Corning, New York, Sanger came from a working class family in a factory town about two hours south of Buffalo. Her father worked as a stonemason, while several of her brothers worked at Corning Glass Works, the backbone of Corning’s economic success since its founding in 1851. 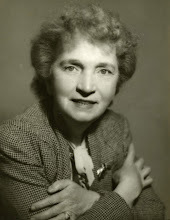 Sanger returned to Corning numerous times– mostly to stay with her father or brothers who continued to live in in the city after she left home, and once to give a speech on birth control.